"A report from the University College London (UCL) institute for risk and disaster reduction has outlined that "An eruption in the short term is a strong possibility'. Seismic readings of the volcano indicate the tremors around the area have increased substantially. 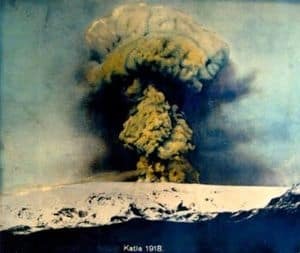 Four earthquakes were detected near Katla during a 12-hour period on May 21st, more than at any other time since the Eyjafjallajokull volcanic eruptions first occurred in March. Three earthquakes at the Katla Volcano were reported by the Disaster and Emergency website Hisz.rsoe.hu on Sunday evening. The tremors may have been due to ice movements within Mýrdalsjökull glacier or magma movement under the volcano. The last earthquake to take place at the volcano was recorded yesterday morning." 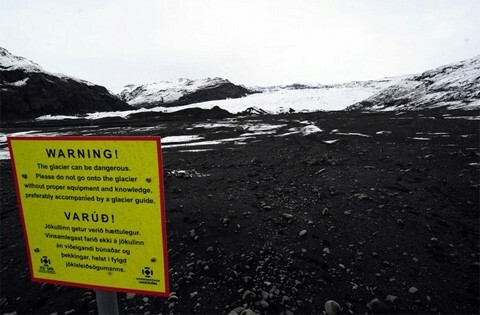 Warning signs have been posted near the base of the glacier which caps the Katla volcano (top) Inset (above), the last major Katla eruption, in 1918. 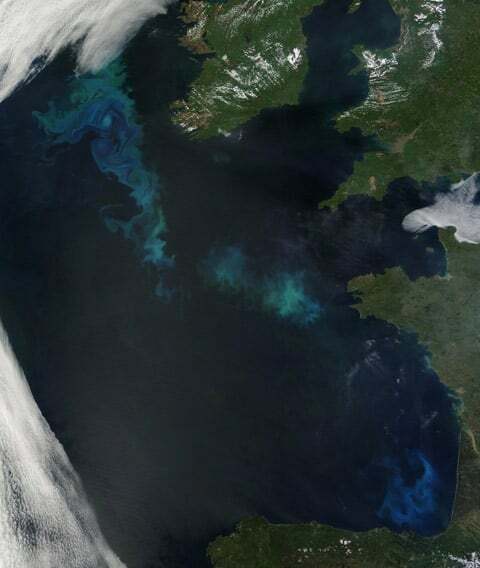 In related news, NASA has observed massive phytoplankton blooms in the north Atlantic which it believes are directly related to Eyjafjallajokull's ash cloud (sorry, I misspoke about this – scientists don't believe they're related, at least not this season).